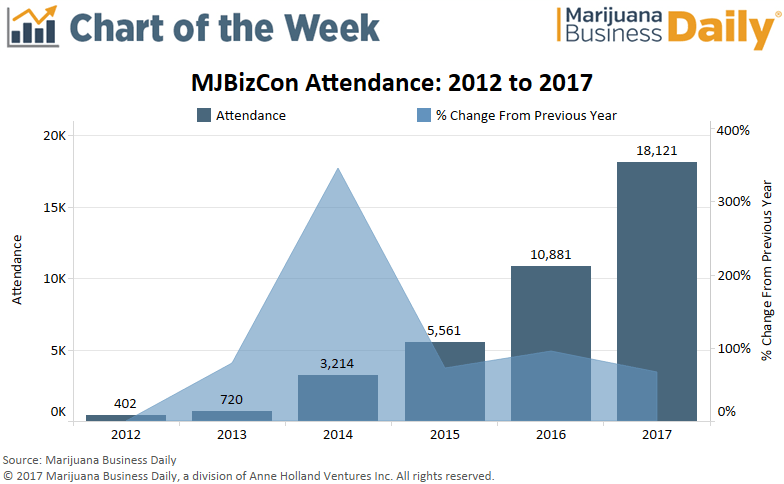 MJBizCon has quickly become a heavyweight in the event space, ranking as the fastest-growing trade show in the country and attracting more attendees than many mainstream industry gatherings. This year’s conference – the sixth edition – attracted more than 18,000 cannabis professionals to the Las Vegas Convention Center, a record for the event and the marijuana industry. That represents a 67% increase from last year’s show. 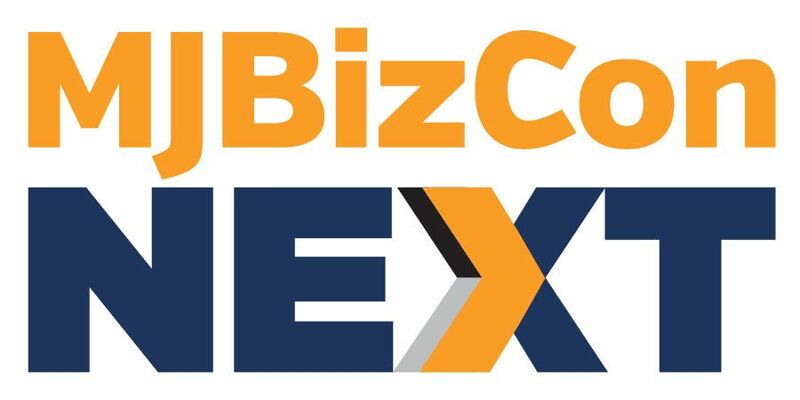 This year, 678 companies exhibited at the event – a 111% increase from the 2016 show. Exhibiting companies spanned all sectors of the industry, from banking, security, packaging and marketing firms to consultants, cultivation equipment manufacturers and infused product companies. Exhibition floor space more than doubled compared to last year’s conference, rising from 45,000 net square feet in 2016 to over 100,000 in 2017. Walking through each aisle of the exhibition floor at an average pace of 2 miles per hour would have taken about 45 minutes. Having a five-minute conversation with each vendor at the show would have taken just under 57 hours. IT WAS VERY WELL DONE….not enough spots to sit and eat though. Well done! No chairs/tables to sit at: WONDERFUL!!! Means there are lots of visitors! Best show I ever attended in almost 40 years. I think I gave myself only 10 minutes to have a sandwich & lemonade. The event was well attended and represented a great cross section of the industry. As a sponsor I was very disappointed about the lack of recognition during the show. Last year we had ribbons attaced to badges so attendees would immedimately know of our support. I think those of us who had booths for the event should have a banner or some form of acknowledgement attached to our space so once again attendees would be aware of our support. My first conference in the industry. Extremely impressed with the level of professionalism both with the vendors and attendees. Wonderful opportunity to network. I left with information overload. My first trade show in this industry. The team work among fellow exhibitors while taking a moment to celebrate the attendance with applause, then packing away the Las Vegas C.C as a team, well into the night, helping each other out, represents the true nature and dedication of the people involved. Saw nothing but patience and smiles. Thank you attendees !! The Industry is in good hands for our times ahead. Another great show. You’ve come a long way since the 2012 conference in Denver! It truly was inspiring to see so many new faces and companies.